Status: Identified! 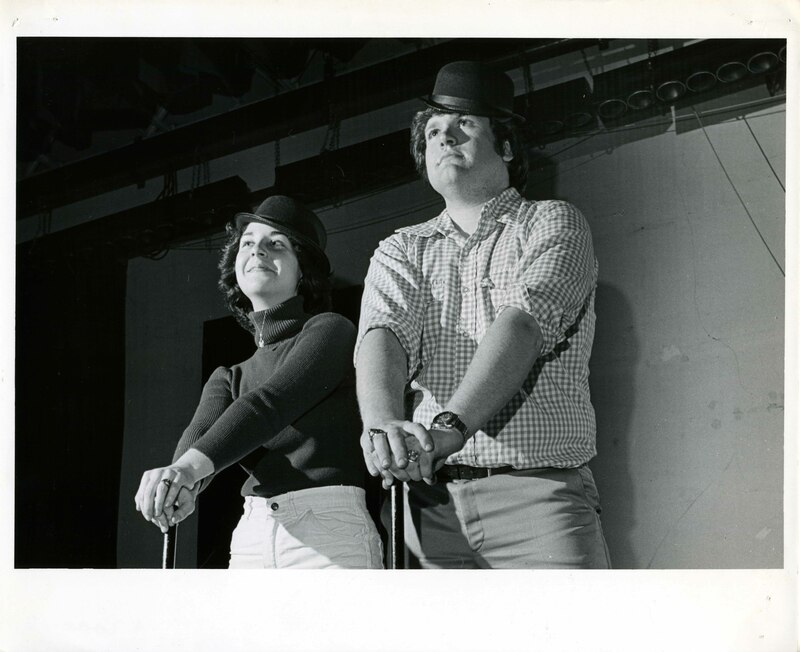 David Schapiro and Ellene Perlman in the “Broadway Potpourri Teen Production” at the JCC, 1977. Blog post by Education Intern Sara Philippe. To read more posts from JMM interns, past and present, click here. This past weekend, I saw the Broadway show Indecent in New York City. 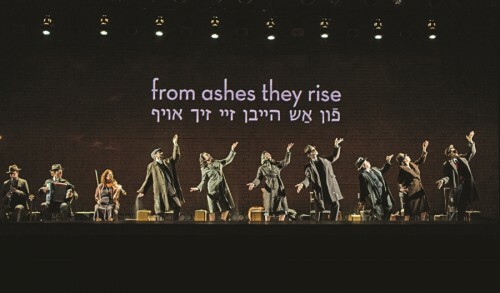 It is a play about God of Vengeance, a Yiddish play written by Polish Jewish writer Sholem Asch in 1907 that was performed across Europe in Yiddish, and eventually in the United States where it was translated into English and performed on Broadway, and then again in Poland during World War II where it was performed in an attic in the Lodz ghetto. The show is a powerful testament to the power of art and theatre, especially in its capacity to preserve history and make it relevant in the present. It is proof that what may seem a mere remnant or artifact, is in reality, a leaving, breathing thing. Among other things, Indecent brings to life the Yiddish language and its near-extinction as a result of assimilation of Jews in the US and the Holocaust in Europe. The opening scene of Indecent. Captions are written in English and Yiddish or Hebrew throughout. It is in this effort to tell stories that are in danger of being lost that Indecent reminds me of my work at the JMM. As Education interns, Erin and I have been working on an educational resource for the upcoming exhibit Discovery and Recovery: Preserving Iraqi Jewish Heritage, which involves us in work guided by the same overarching principle that values history and heritage for its perpetual importance. In designing activities that will allow students of all ages to have more enjoyable and meaningful experiences of the exhibit, we have endeavored to treat every aspect of the contents of the exhibit as a reflection of living people and traditions as well as of people and traditions that existed in the past. Indecent’s writer Paul Vogel, and its director Rebecca Taichman, emphasize their desire to connect the material of the play to ongoing questions of xenophobia and immigration, for example, that pertain to the present day just as much as they did in early 20th century America. They tackle these issues in explicit terms and make no attempt to tell the story of God of Vengeance as if it has ended. As we work towards a comprehensive education reference, our goal is always to encourage the future users of the resource to see the artifacts displayed in the exhibit as more than artifacts. A badly damaged schoolbook written in Arabic and used in Iraqi Jewish schools is not a collation of pages, but rather an opportunity to discuss efforts to ensure the survival of Judeo-Arabic, spoken by Iraqi Jews, and other minority languages that may be under threat. 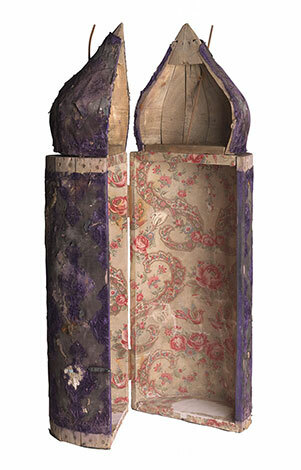 A tik, the Torah holder used in Iraqi Jewish communities becomes an opportunity to marvel at the evolution and varied uses of language, as we create an activity that asks students to re-interpret the word “tik” through actually making their own tik inspired by what they have learned about the word’s modern-day uses in Hebrew. The story of the anti-Jewish pogroms in Baghdad in 1941 that led many to flee their native country, are an opportunity to consider minority persecution and displacement of peoples around the world and in Iraq today. A tik from the Iraqi Jewish Archive. The stories of the past that animate Indecent as well as the Iraqi Jewish Archive offer us so much more than just a look at a time and people gone by. They are evidence of the resiliency of any people and the continuing desire we have to discover and recover, and to turn a richness that could have been lost and relegated solely to the past, into art and education. What I am learning in the Education department is the importance of turning everything behind a glass wall in an exhibit into a living creature with meanings and implications that must not be forgotten. Though it is often impossible to bring back to life what has been lost or destroyed, it is possible to enrich the lives of people today using the creations of the people of the past.